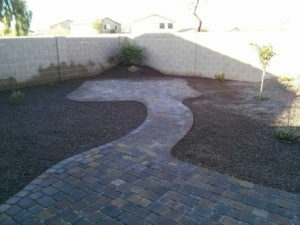 Here is a recent paver patio installed by Arizona Living Landscape & Design. We took an existing yard and removed all the grass and debris and installed a beautiful Arizona Paver Patio in their backyard. This patio went over the existing concrete patio and included a walkway going to another paver patio in the far side of the yard for entertaining or a fire pit area to sit. 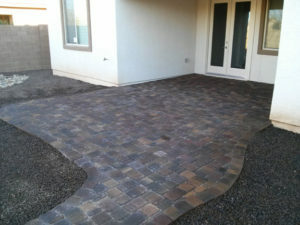 We used Arizona Phoenix Pavers on this project. If you are looking into building a concrete patio in your backyard, you could look into a site like https://sealwithease.com/10-tips-for-building-a-concrete-patio/, which will give you tips on how to successfully build your dream patio, which may help to increase the value of your home.